Having professional plumbing services available is a very important ingredient to keeping your residential and commercial buildings in top notch shape. At times you may experience drainage problems or need to have new pipes removed & installed. This is not an easy task for the average person. Not to mention, trying to deal with plumbing issues on your own in an attempt to save money can have you spending more money in the future. Why should you hire a professional plumber? Lets take a look at some reasons why. An experienced plumbing company is already familiar with a variety of plumbing issues. They are able to access the problem, choose the appropriate method of fixing it, and spot anything that may become a problem in the future. In order for plumbing problems to be fixed, the layout of the plumbing system must be understood. This gives the commercial or residential plumbing company the ability to diagnose what the problem is, and use the appropriate method and tools to fix it. Only a professional in the plumbing profession will be able to do this successfully. While some plumbing problems can be quite simple to fix, many of them can be very complex. To someone without any training or experience in solving plumbing problems, it can seem overwhelming. However, someone who has received education and training in that field will be able to understand the complexities of the problem. A Residential or commercial plumbing company with the right training will ensure that their contractors understand when and how to use certain tools and equipment for particular jobs. On top of offering you the best professional plumbing services possible, a plumbing company can give you advice concerning problems with your plumbing. They can tell you what your options are, and the results that will come from those choices. Not to mention, they can advise you on how to spot problems that will need the attention of a professional. An untrained eye might miss a lot of potential problems that a professional plumber can point out to you when inspecting your system. By them providing you with this information, you can decide on steps you need to take to avoid making problems worse. 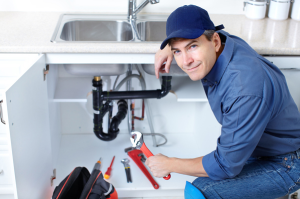 You are able to save on labor costs, save yourself some time, and you can expect the residential or commercial plumbing company to fix issues adequately. Potential plumbing issues that cause for a professional include leaky faucets, drains experiencing blockage, Constant toilet backup, and water showing up in the wrong areas. While these issues may seem simple to handle, they are not. In some cases, these problems can signify a bigger problem within your plumbing system. Only a professional will be able to diagnose and fix these problems. If you are experiencing a plumbing problem, Don’t try to fix it yourself and cause more damage to your system. Contact a professional emergency plumbing company that you trust, and let them take care of it for you. This entry was posted in Plumbing Services by admin. Bookmark the permalink.